We’ve got you covered! 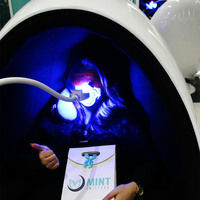 Mint Smilebar is revolutionizing the way you whiten your teeth by offering an in-office whitening session that is a fraction of what the dentist charges! You can actually see results it would take you seven home whitening sessions to achieve, in just one hour at the Smile Bar. On average, our customers see results which are 4 – 8 shades lighter. As an added bonus, we use a high-quality whitening gel that’s made in North America and FDA & Health Canada approved. Even better, the whitening gel is vegan, cruelty free, non GMO, gluten free and specially formulated to cause zero to minimal sensitivity, so it’s gentle on your teeth and easy on the eyes. WHAT EXACTLY IS THE INFLUENCER REQUIRED TO DO? 2. Add this experience to cart, and check-out. 3. Check your email for instructions on booking your appointment. 4. Have fun with your ShoutOut! HOW MANY POSTS ARE REQUIRED? Instagram, but Stories and other posts are highly encouraged. The influencers that qualify will receive the whitening service for free. This campaign is unpaid, and available only to Vancouver residents. 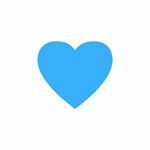 • You have at least 4.0k Instagram followers. • You are located in Vancouver, British Columbia, CA.